A fall visit to the iconic Garden of the Gods brought me to a stay at the nearby historic AAA Four-Diamond Cliff House at Pikes Peak, 10 minutes from downtown Colorado Springs in the charming town of Manitou Springs.Debuting in late 1873 at the base of Pikes Peak, The Cliff House at Pikes Peak is the state’s second oldest hotel in Colorado. 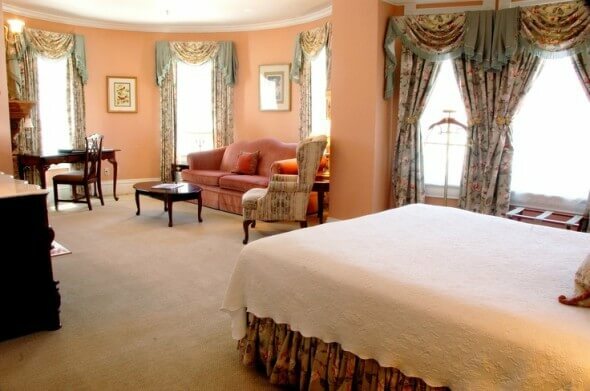 A stay at this 54 room boutique hotel offers an old-fashioned Victorian experience with sprawling verandas, cozy parlors, and a great location. 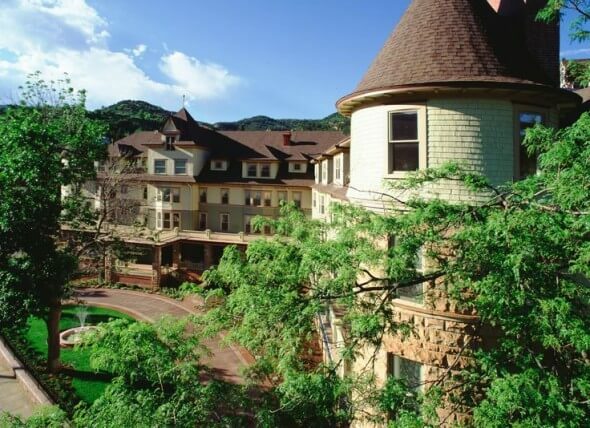 Located just off Manitou Springs’ picturesque Main Street, Colorado’s historic Cliff House at Pikes Peak is a Victorian half-block sprawl of loveliness complete with turrets and a view of the mountains. Step back in time with its expansive terrace to enter the parlor with bold red late-1800s décor. Check-in was effortless, and within minutes, the bell staff escorted us to our room. 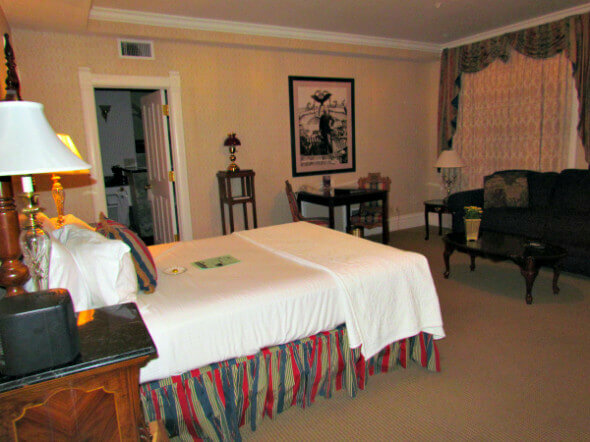 The Victorian-themed 54 rooms are each unique and luxurious, including varying sizes, starting at 200-300 square feet standard Studio Rooms. My Junior Suite room was located in the middle of the building overlooking the entrance and the street. The accommodations were roomy and mine also included a sitting area and work desk. Although old-fashioned rooms, the accommodations include modern amenities, such as TVs, coffee maker, small fridge, free WiFi in room, and even heated toilets! Some rooms include extras like gas fireplaces, steam showers, and towel warmers. 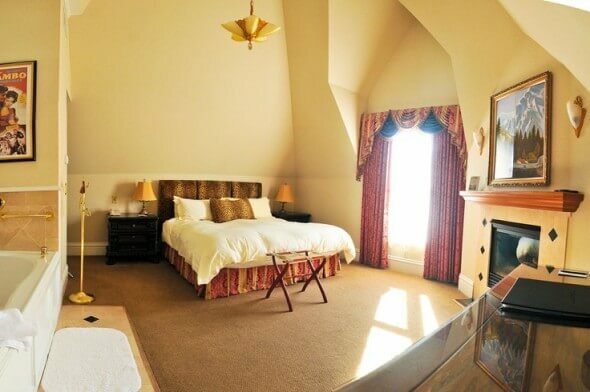 There are also themed luxury suites, including the Celebrity Suites named after those who have stayed there, including Buffalo Bill, Colonel John Pershing, Charles Dickens, and Teddy Roosevelt. Your buffet breakfast is included here, or you may opt to splurge by ordering room service. 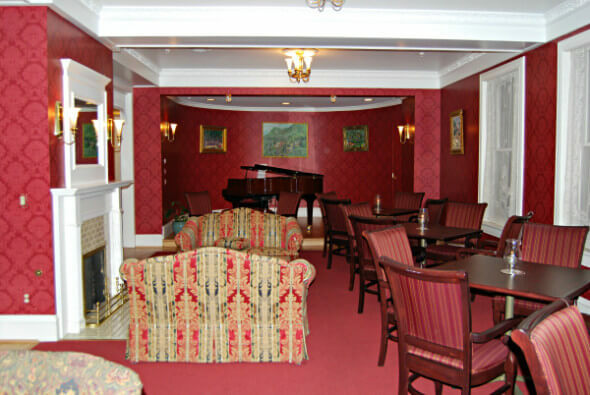 Add to your topnotch experience with a fine dining experience at the 4 Diamond Cliff House Dining Room, or dine outdoors (seasonally) on the Cliff House Veranda or in the Music Room. We choose the more casual Red Mountain Bar and Grill, and also spent some time at the firepit, perfect for a Colorado fall evening. The best part – there is no dress code at any of their restaurants! In the late 1850s, gold mines in the Pikes Peak area prompted the rise of the Colorado town of Manitou Springs. At a stagecoach stop, a 20-room boarding house, “The Inn,” was opened providing accommodations for primarily trappers and hunters, and then later investors in the Leadville mines. 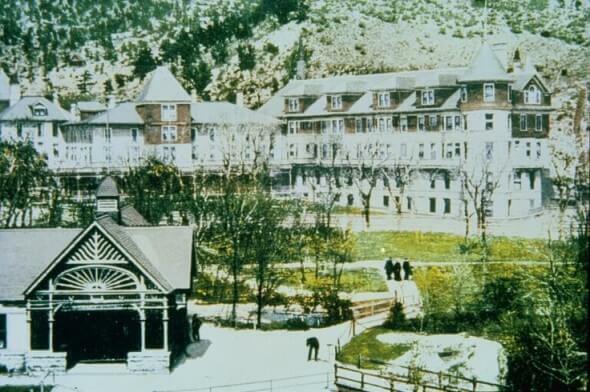 However, when the gold and travelers dwindled in the 1870s, business was bleak for both the town and The Inn, until the healing powers of the town’s mineral springs were exploited by the new owner Edward E Nichols, seeking a cure for his tuberculosis. UltimatelyNichols converted itinto a world-class resort hotel, the Cliffs, expanding to 54 rooms and attracting the wealthy and the famous, including Theodore Roosevelt, Charles Dickens Jr, and Clark Gable. Since then, the Cliff House had been placed on the National Registry of Historic Places, and in 1999, the hotel underwent an extensive remodel. In 2007, Gal-Tex Hotel Corporation purchased The Cliff House, retaining the same exceptional staff to maintain its illustrious reputation. 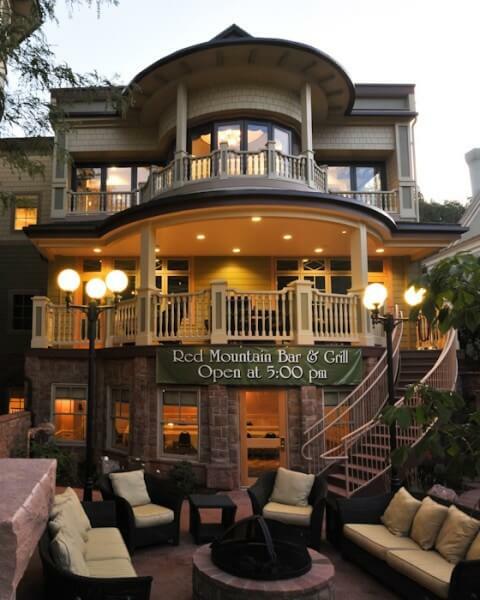 The Cliff House at Pikes Peak is the quintessential Colorado mountain experience, elegant yet casual, with a prime location less than 15 minute drive from the Garden of the Gods. You can leave your car parked, and explore downtown Manitou Springs a short 5-minute walk away. Room rates range from $129-$409. Check rates on Priceline. Photos & Accommodations courtesy of Diana Rowe and Cliff House at Pikes Peak.